This month, I have been sharing some recipes using palmyrah root which is an ingredient used in traditional North Sri Lankan cooking. Odiyal flour ground from palmyrah root has a high calcium content and is very nutritious. 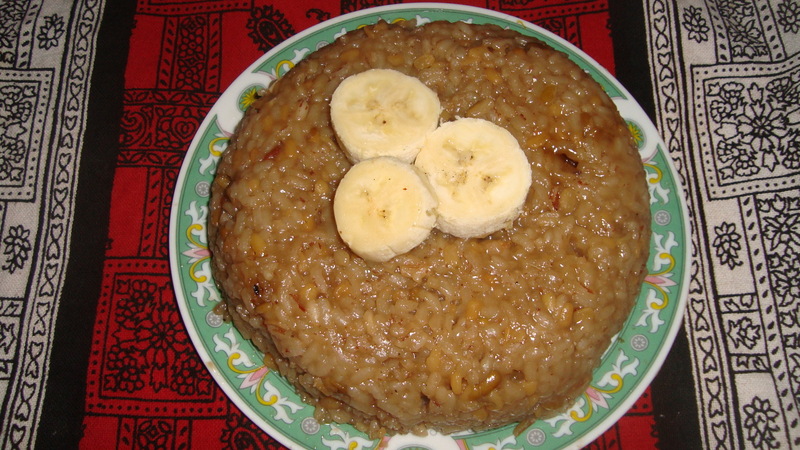 To wrap the palmyrah feature, I would like to share my mother’s recipe for ‘odiyal pittu’. And to wrap up a special month, I would like to share a couple of songs from my all-time favourite rock band – Queen. The first song is from the 14th Queen studio album. This clip is from the 15th album, Made in Heaven, released in 1995. Mix the odiyal flour with a little water and make the raw pittu. Add a little salt and all the chopped vegetables to the flour and mix well. Steam the pittu. Once the steaming is finished, just sprinkle with pepper when you remove the pittu from heat. Re-blogging A Life(Time) of Cooking‘s post from 2008 sharing Ganga’s version of Carrot sambal, Jaffna style from The Monk’s Cookbook. I decided to share my first recipe post on this blog again, particularly for the Fiesta Friday group. Curry powder blend is usually made at homes in Sri Lanka and therefore differs from house to house in the spices used and the blend ratio. The blend also differs for the type of curry it is used for. Today, I will share my mother’s special blend for vegetarian curries. Interested non-vegetarians can check out these earlier posts for the blend for fish dishes and meat dishes. The south Indian musician that I am featuring today is P.Unnikrishnan. Trained in Carnatic music, Unnikrishnan has released several Carnatic music and devotional song albums. He was introduced to the playback singing world of South Indian movies by A.R.Rahman in 1994 and his debut song in the movie ‘Kadhalan’ won him a national award. He also has started dabbling in experimental music. The first clip is an excerpt from an A.R.Rahman concert where Unnikrishnan sings his award-winning debut song. The second clip is his lovely rendition of a famous poem by renowned 19th century Tamil poet Bharathiyar. Hope you enjoyed Unnikrishnan’s voice! 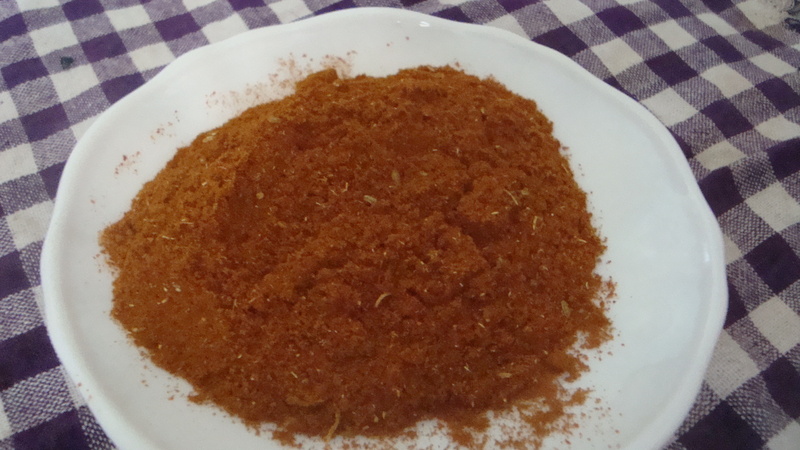 Do try out my mother’s recipe for her curry powder blend! Chop up the dried red chillies and dry roast them. Keep aside. Dry roast the curry leaves separately and keep aside. Dry roast the balance ingredients together. 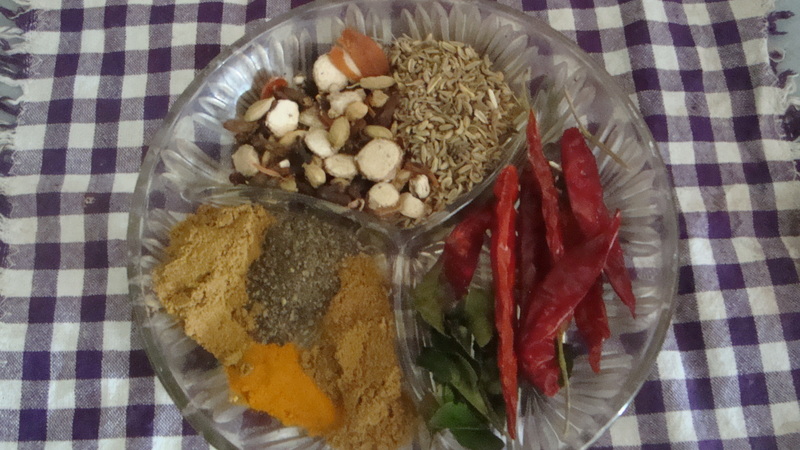 Combine all and grind them together to make the curry powder mix. Store in an airtight container to use when needed. The ingredients can be scaled up for the desired quantity. 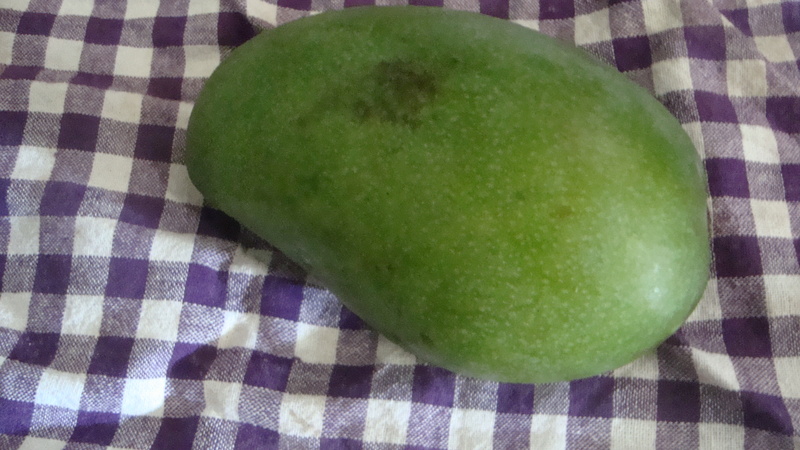 During a recent visit of my father to Jaffna, he brought back some mangoes from my mother’s childhood home. My mother said that the particular mango tree had been planted by her father. 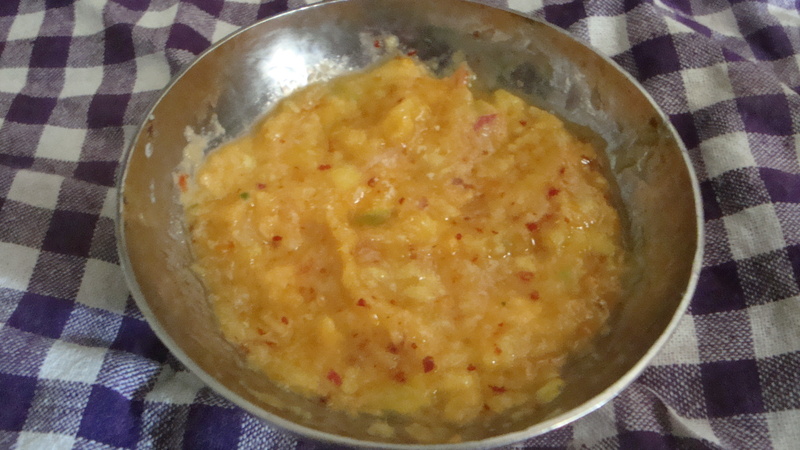 As the mangoes were half-ripe, cooking mangoes, my mother decided to make some chutney out of them. This is a simple, quick to prepare chutney. I have shared earlier a mango chutney recipe that my mother makes when she wants to store the chutney for a few days. I am sharing this instant mango chutney recipe with the Fiesta Friday group as well. Continuing with the theme of featuring south Indian singers whose voice I have enjoyed and appreciated along with the recipes this month and next, today’s featured musician is another of my mother’s favourite singers – renowned south Indian singer K.J.Yesudas. A classical trained musician, he began his movie playback singing career in the early 1960s. Yesudas is said to have sung and recorded over 50,000 songs over his five decade career in most Indian languages as well as foreign languages such as Arabic and Russian. I do not know how he managed the volume because it roughly translates to about 1000 songs a year. He was awarded the Padma Shri (1975) and the Padma Bhushan (2002) by the Indian government. While selecting Yesudas song clips to share here, I decided to share first an excerpt from one of his older classical concert clips as he is foremost a classical Carnatic musician and I like his Carnatic music repertoire better than his songs for movies. The second song is from the 1968 Malayalam movie Bharymar Sookshikkuka. This clip is a live performance of K.J. Yesudas with Chitra and Sujatha. Wrapping up today’s music selection, the last clip is from a very famous popular Tamil song of Yesudas from the 1992 movie Mannan. Hope you enjoyed the voice of K.J. Yesudas and do try out this chutney! Clean and chop up the half-ripe mango. Rub in a little salt and allow it to marinate while you do the next step. Heat a tbsp oil in a pan. Temper the chopped onion and crushed chillies for a couple of minutes. Add the chopped and salted mango to the pan together with a tablespoon of sugar. Mix well and let it cook for a couple of minutes. Remove from heat and transfer the pan contents to a food processor and grind it. This simple mango chutney is nice on a sandwich.